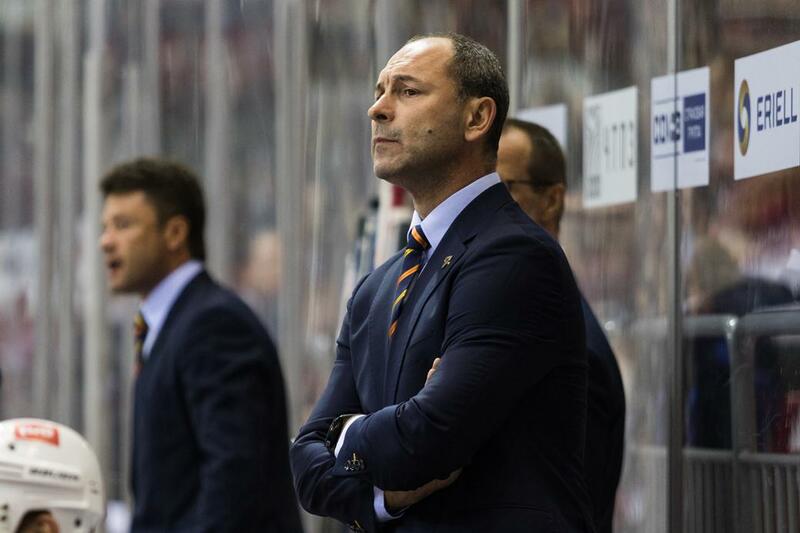 Sergei Zubov: "This season's lesson? 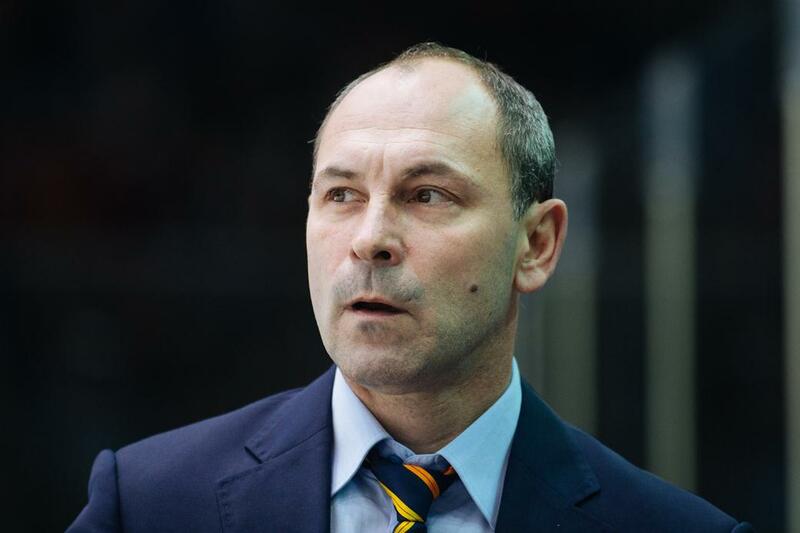 Stick to the plan"
HC Sochi head coach, Olympic champion and two-time Stanley Cup winner Sergei Zubov spoke to KHL.ru about his team's performances in the Championship, Pavel Padakin's progress, the playoff series against Jokerit, and the fans in Sochi. This was a first full season as head coach in the career of legendary Russian defenseman, Sergei Zubov. 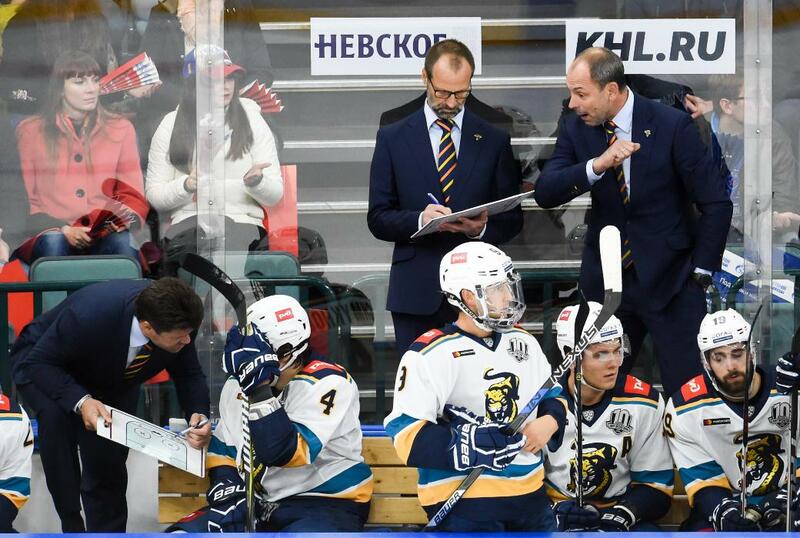 He had accrued a wealth of experience as an assistant, and had enjoyed a short spell in charge at SKA before climbing into the hot seat at HC Sochi. He arrived in time to take control of preseason preparations, and surpassed the expectations of many when he guided the team to sixth place in the Western Conference. The post-season, however, was short and sweet, with a 1-4 first-round exit at the hands of Jokerit Helsinki. – How happy are you with the way the season turned out for Sochi? – It turned out to be a positive one for the team. We set ourselves certain goals, one of which we achieved, while the second part fell apart a little at the end. But overall, this season was definitely a step forward for the Sochi club. – What mark - out of five - would you give the team for its performance over the Championship? – I'd give them a 4. With a minus. – After quite a lengthy break in coaching, did you find the job difficult, particularly bearing in mind it was your first full season as a head coach? – There are always difficulties, and you tackle them. It is the same with any job that you love and adore. The challenges spur you on. – What were the main hockey problems you had to solve during the season? – Half the team was new, so during the season we were constantly adjusting the line-up and searching for the best options to move the team forward. Of the young guys, I would make a special mention of Pavel Padakin, who performed brilliantly over the first part of the season. Then he slowed down a little, when we we expected a bit more from him, but maybe that was understandable. – You also had problems at uneven strength: Sochi had the League's worst statistics for powerplay and penalty-killing in the regular season. – Yes, this was a serious problem all through the season, and it continued into the playoffs. These parts of the game are very important in modern hockey, but we still haven't found the key to solving them. – Sochi began the Championship with an incredible pair of results, going down 3-11 against Salavat Yulaev and then, a day later, bouncing back with a 5-0 win over Kazan. What did you say to the players in the locker room after that defeat in Ufa? – I didn't need to say very much. We had an honest talk, and the guys fully understood what had gone wrong. In these situations, there is no need for long speeches. – You were the first KHL team this season which managed to beat SKA. Did you feel a special motivation with matches against the Petersburg guys? – No. We have the same motivation to win every game. I never tire of repeating this: we have to go out, play to win, and battle in every single match. Against SKA, it just so happened that it was our day. "A hard talk with the players? It happens"
– What was the hardest part of the season? – Maybe the very beginning of the Championship. We tried to find our game, get some kind of momentum going for the season, but it was hard to keep a rhythm with such a tricky schedule. The last couple of games before the big pause and the couple of regular season matches after the Olympic break were also far from easy for us. – And were there times during the season when you had to have a serious, hard talk with your players? – Were there any players that you were pleasantly surprised by and whose progress pleased you greatly during the season? – It is difficult to single out any individual, and the statistical showings are quite even throughout the team. The foreign players performed to the level we expected, our veterans helped support the rest of the team and did all they could to give us a hundred-percent effort in each game. That was a big positive. Of the young guys, I would make a special mention of Pavel Padakin, who performed brilliantly over the first part of the season. Then he slowed down a little, when we we expected a bit more from him, but maybe that was understandable. We will look at what is possible and proceed from here. We will try to keep many of the guys who proved their worth and earned the right to play in this team. – And which players disappointed? – All the guys were great. Everyone contributed as much as they could. – Sochi began the playoffs with a victory over Jokerit. Looking back, do you think you could have won the series? – Yes, because no team is unbeatable. It all depends on the circumstances. Jokerit is a good, skillful, fast, mobile team, and the coaching staff made the wisest selections from what they had. We were a little second-best in speed – not just outpaced, but also in the speed of our decision-making. Yes, we managed to contain them in one match, and we stayed in contention in the last couple of games, when we had chances to keep the series going, but overall, Jokerit was the stronger team. – How about Tolvanen? Why could you not find a way to shut him out? – Mr. Tolvanen will probably be a star in the NHL quite soon. At his age, it is too early to say he'll be a superstar, but he's an outstanding player, no doubt about it. "My main goal right now is to spend some time with my family." – What are the team's plans from now until the end of the season? – We will hold a two-week training camp in Sochi and work on our fitness, after which the guys can go on vacation. – Have you formulated any plans for next season yet? Are there any major changes awaiting the team? – Again, we will look at what is possible and proceed from here. We will try to keep many of the guys who proved their worth to us and earned the right to play in this team. – What did the last season teach you? 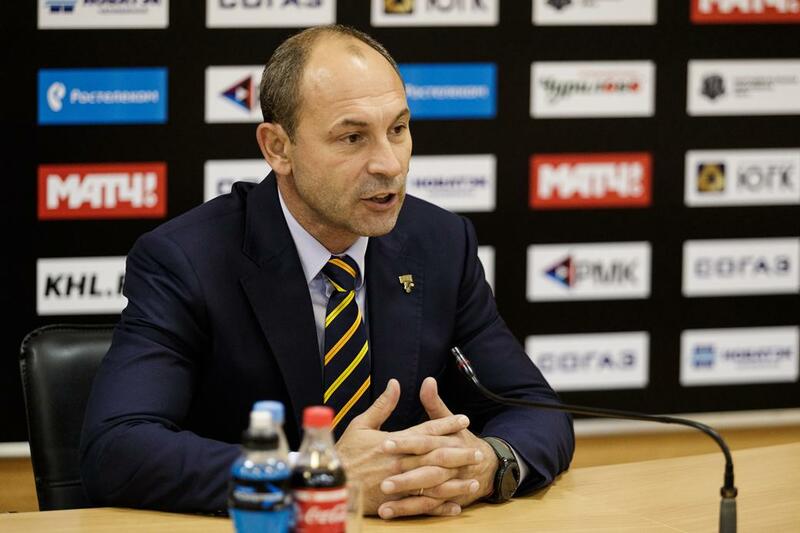 – To stick to the plan we chose as a coaching staff, and not to deviate from it. Jokerit is a good, skillful, fast, and mobile team. We were a little second-best in speed – not just outpaced,but also in the speed of our decision-making. – How would you assess the supporters in Sochi? Have the people of the South learned to be real hockey fans? – Without a doubt! Even if you ignore the playoffs, by the end of the season everyone could see what was going on there. We had been getting to know some of the features of local life, and for a coastal resort, that time of year is off-season so there were not many people in the city, yet we were still attracting crowds of eight or nine thousand and higher. This was very satisfying, and a good indication that the club and its policies, towards the fans and towards further development, are heading in the right direction. – The vacation season looms. How do you plan to spend the summer? – In May we have the World Championships, so we will watch that. We will rest for a couple of weeks in June, and then we start preparing for the new season. But my number one goal for that couple of weeks is to spend some time with my family!